Attention! With 2018 on the horizon we are prepping a whole bunch of updates to our site in general, and to this article in particular. 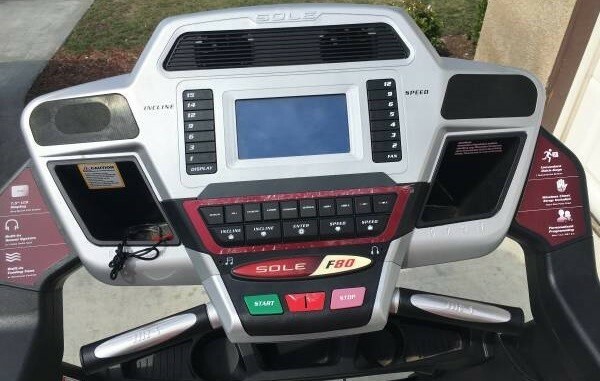 Since we first published this review a few things has happened, Sole Fitness released a new line of treadmills and early next year we will check those out! The Sole Fitness F80 has been updated with a brand new look and now features bluetooth connectivity (among many other minor upgrades). Stay tuned for more in-depth information (coming early 2018). You are highly likely to find a treadmill in almost every gym, and for good reasons, a common treadmill found in many gyms is the Sole F80 treadmill from Sole Fitness, but many other brands are available, such as ProForm, Schwinn and Horizon Fitness. Treadmills accommodate almost any fitness goal or level. If your goal is to lose weight, working out on a treadmill will help you to burn calories and lose weight as the machine simulates real-life movement such as walking and running. 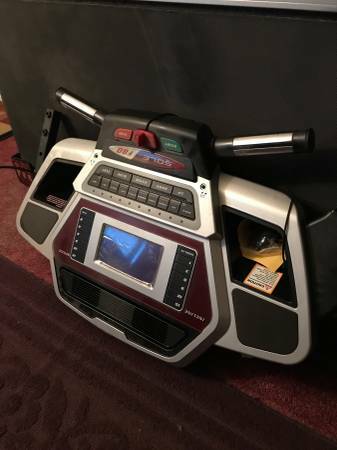 You can get more treadmill reviews, ratings, and recommendations over at treadmillwatch.com and consumerreports.org, the Sole F80 treadmill has recently been featured on both these sites. Even more on social media here, here and here. Though the Sole F80 treadmill, or any other treadmill, is ideal for cardio workout, there is one trick you have to master in order to enhance your ability to burn calories using this piece of equipment. You have to bear the load of your bodyweight. To put it simply, you have to avoid holding onto the treadmill’s side handles as you run or walk. In addition you need to keep up the speed of the belt on a treadmill to avoid resting or taking it easy. 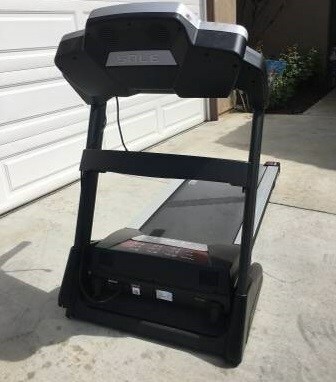 Newer treadmills such as the Sole F80 treadmill (pictures below) makes this easier as it comes with different fitness programs tailor made to different users. If you order your treadmill online, before you can get started with your exercise regime, be prepared to spend some time unpacking and assembling the machine . These are fairly new types of exercise technology and represent the true evolution of cardio machines as well as huge step up from arch and elliptical trainers due to freedom of movement. Just as their name suggests the motion trainers simulates the motion of the exercise to your movement. Rather than travelling in a similar motion as the ellipse, the machine allows you to vary your movements. Though the machines have some limitations, you can perform various moves such as stepping up, down, short strides and long strides that simulates running. To get maximum benefits from the motion trainer machine, you should consider varying the strides you take. The machine allows you to perform different motions and control how long you can do them. This means that you can use timers on the motion climbers to avoid engaging in too much of a single move. The Versa climber is considered among the best cardio machines in the gym because it challenges you to climb vertically against the gravity. If you have ever used a versa climber you know that even at a decent level, the machine can be tough for just 5 minutes. The vertical challenge enables you to use your lower and upper body equally.To enhance the challenge of the versa climber, you can consider adding more resistance to the machine. Adding resistance enables you to pull and push. This not only enhances your muscles but also gives you a great cardio workout. The Indo-rowing machine features a water-filled flywheel on the front which mimics the dynamic resistance of a boat gliding over water. The water creates an authentic feel and consistent resistance throughout the entire stroke. The extremely smooth action, ergonomically designed handle and comfortable seat allow you to challenge yourself both with intensity and duration. Stepmills also known as stairmills operate just like the ordinary elevator, only that they are tougher to climb. In most instances, working out on a Stepmill feels like going up the stadium steps, the only difference is that the steps never end. If you are a beginner, you are better off avoiding these machines. Even at the lowest settings, these machines increase your heart rapidly. When you increase the level of the difficulty, the steps move faster. To maximize the effect of the stepmill, you should avoid supporting your body weight with the machine handles. The handles are meant for safety reasons and not for supporting body weight. If you keep supporting your body weight with the handles, you will lose out on the intended effect of the exercise. Stepmills have very narrow steps. 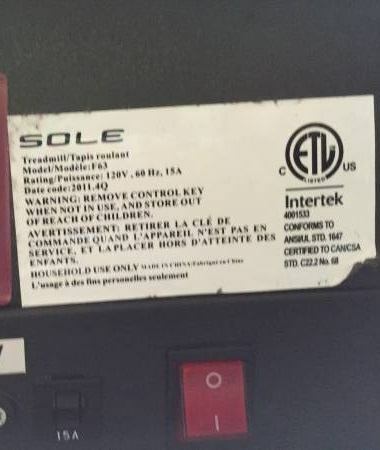 This means that if your feet size is above 12, it may not be possible to exercise on the machine. This can be a real disadvantage since stepmills are among the best cardio machines you can ever use to get your heart racing and maintaining the momentum. To promote the most natural movements possible scientist recommend running outdoors, but, if you must practice indoor running opt for a treadmill. There are many good treadmill brands available on the US market, ProForm, Sole Fitness with their best selling treadmills the Sole F80 treadmill and the Sole F63 treadmill, Horizon Fitness with their T101, and many more. Just make sure to chose a high quality and sturdy one. Let’s get moving – Katherine FITNESS CRAFT signing off! 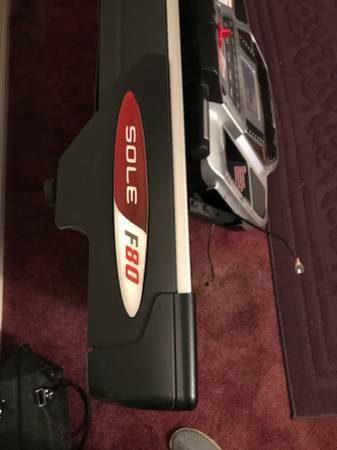 If you are looking for extreme cardiovascular workouts, consider the Sole F63 Treadmill from Sole Fitness. Do you prefer jogging as part of your exercises, but hate to do it outdoors? If your answer is yes, then you might be impressed with the Sole F63 treadmill technology. It is among the top treadmills when it comes to quality versus price. 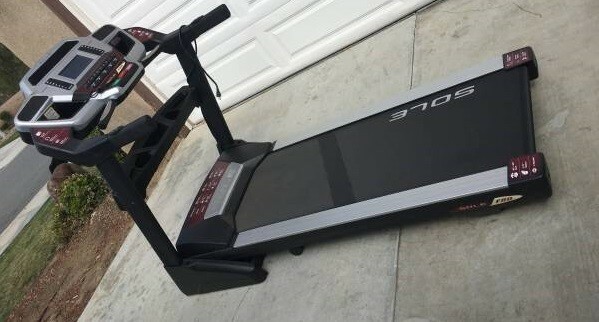 It’s been featured and reviewed by treadmillconsumers.com and consumerreports.org respectively. It has the best built-in components, a feature that keeps SOLE in the market. Compared to other treadmills this machine can make a top list. To enable us to appreciate what this machine can do, let us take a look at some its salient features and some online reviews that we have found. 3.0 CHP motor – The highest speed of the motor is 12 mph and is able to incline up to 15 percent. For safety purposes, the treadmill locks when it is not being used. It has six programs that are pre-set – This includes fat burning and cardio training programs. A stop switch that starts from 1.0 mph and a low-profile running hood which ensures that you are able to control your running speed. This ensures safety while running on the treadmill. LCD display, which is 7.5 inches, which is the backlight. This enables easy reading, hence control your workout. Built-in speakers – You can select and play any mp3, play it as you are jogging on the treadmill. This encourages and gives the runner energy to continue with the workout as opposed to doing exercises without music. 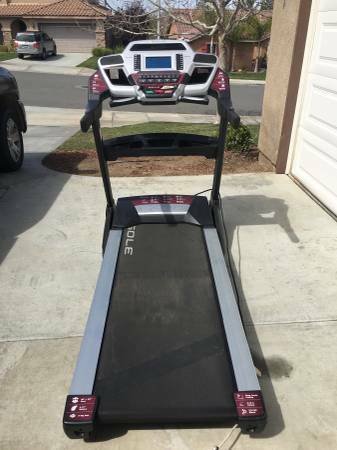 SOLE is making better sales out of this treadmill due to its most notable specs and at the same time has a lower price compared to treadmills of the same type. 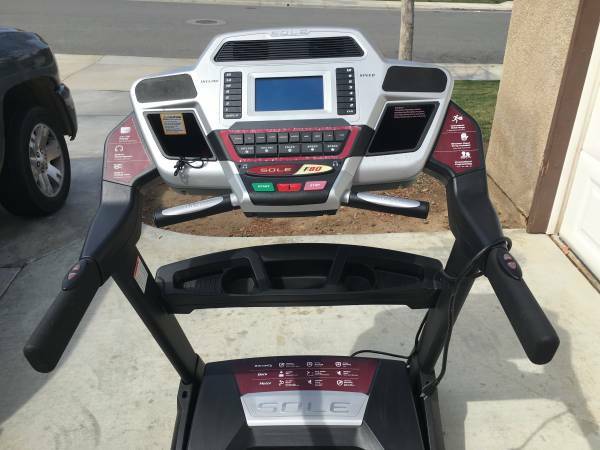 It’s a lower priced version of the Sole F65 treadmill, which you can read more about here, here and here (google to find online reviews). Below are some of the privileges, Sole F63 treadmill technology offers. BIG COMMERCIAL DISPLAY SCREEN – LCD screen is large enough ensuring effective and easy workouts. It does this by providing the information on what you need to know about your progress. These are Calories burned, pace and speed, the rate of heartbeat and more. 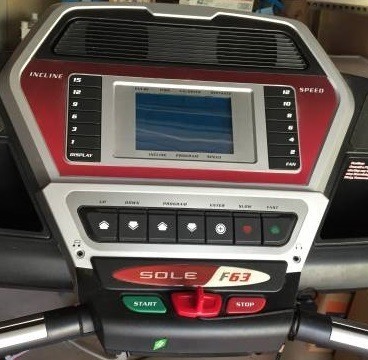 THE DESIGN – The designers of Sole F63 treadmill technology focused on durability and quality. It has a stable base which ensures safety while working out. FLYWHEELS AND HIGH TORQUE MOTORS – It has motors that have a large diameter, flywheels that are balanced and zinc-coated, hence ensures that there is no vibration felt while running or walking on the surface. Flywheels also cool the motor hence extends its life. They are also responsible for enabling us to start at a slower start speed, that is 0.5-1 mph. This ensures that we stay safe while doing the workouts. COMFORTABLE AND QUITE WORKOUT – The cushion flex whisper deck ensures that you are comfortable while quietly working out. The deck is reversible and is lubricated with wax which reduces the pressure on the motor while working out. This avoids any disturbances during workouts. EASY ASSIST FOLDING DECK DESIGN – The pinion system and the gear rack have a safety lock. This ensures that the treadmill is locked when it is in upright position. The easy assist folding deck design also allows you to release the deck and move away while the deck is unfolding. This is efficient for simple and convenient unfolding of the treadmill. DURABILITY – Welding was done precisely and accurate. This ensures that the frame is strong enough to handle a larger number of users despite the weight. 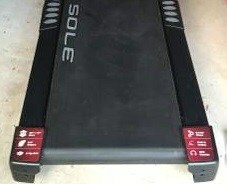 Sole f63 treadmill technology was designed to last longer. FRAMES THAT ARE BULLET PROOF – It has a steel construction protected with epoxy powder for durability. To ensure it stays durable for a long time, the treadmill is welded instead of being bolted. MESSAGE BOARD -This provides guidance on the workout. You can set up a profile button and leave the rest of the work for the message board. This will also avoid confusion on what to do next since the message board will provide you with every step you have to take and at the same time record your progress for you to see later. ROLLERS AND BELTS – It has high-end rollers mostly found on expensive trend mills. The rollers have copper ground wires and sealed bearing design. This ensures that the workouts stay quiet and smooth during the workout. The belts are double oven and have four layers, two rubber layer over the rollers and deck. This ensures durability, prevention of belt from stretching and provision of a smooth glide over rollers and deck. 30 DAY GUARANTEE – You can get your money back 100% if you find the machine unsatisfying. LIFETIME WARRANTY – You don’t have to worry about losing lots of money when the machine spoils. For the units frame, there is a lifetime warranty and for the electronics and the deck the warranty is three years. SOLE also offers I year of free labor. It doesn’t matter how good and furnished the machine is, when it comes to customer reviews, they are always right. Below are some of the things customers complain about Sole F63 treadmill technology. 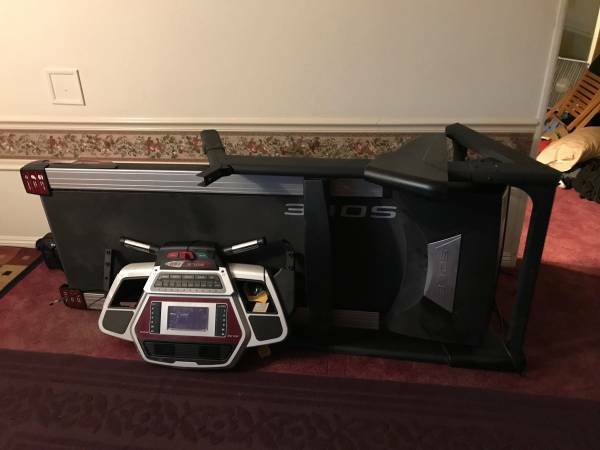 Too heavy (253 lbs) – According to most customers’ reviews Sole F63 treadmill technology is too heavy, especially when you want to move it around. It has fewer pre-set programs – Most users of this treadmill would prefer more pre-set programs so as to be able to achieve a variety of workouts. Sole f63 treadmill doesn’t provide this. 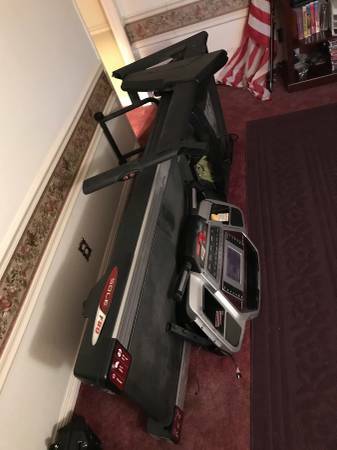 Not efficient for a small space – Treadmills are made for indoors, however, Sole F63 treadmill doesn’t favor small space. The wider running surface makes it big. Customers’ opinions differ, but of them brand it as the best machine. There are several issues with some of its parts and efficiency. Some customers complain that the LCD display is too small that completely differs with what its manufacturers are really saying. Others complain of that the console and the handgrips are very hard to use after you incline. Most of the customers find it satisfactory. Overall reviews of customers are positive enough to give the machine its credibility. Compared to some treadmills, Sole F63 treadmill technology seems to be more efficient. When it comes to price versus performance Sole F63 is worth going for. The design is good and according to most customer reviews it is satisfying. It has continued to outdo similar machines of its type with the same type. It is popular and has won several awards. The manufacturers have continued and have promised to continue updating Sole F63 treadmill technology till all customers are satisfied. When it comes to durability, Sole F63 is a machine worth going for. It is meant for extreme workouts, but at the same time provides room for entertainment. It is cheap for a machine its type. 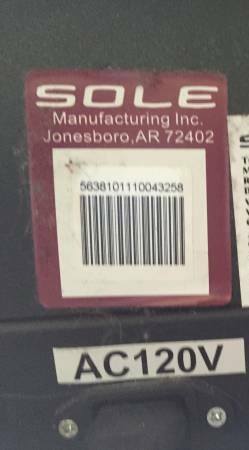 SOLE incorporated some of the things you can only find in high-end treadmills that cost $5000 and above which is a wider range when compared to its price of $2000. If you are looking for a machine that would provide efficient, smooth and quiet workout at a cheaper price, and with good reviews, then Sole F63 treadmill technology might be the best option, let’s get moving!